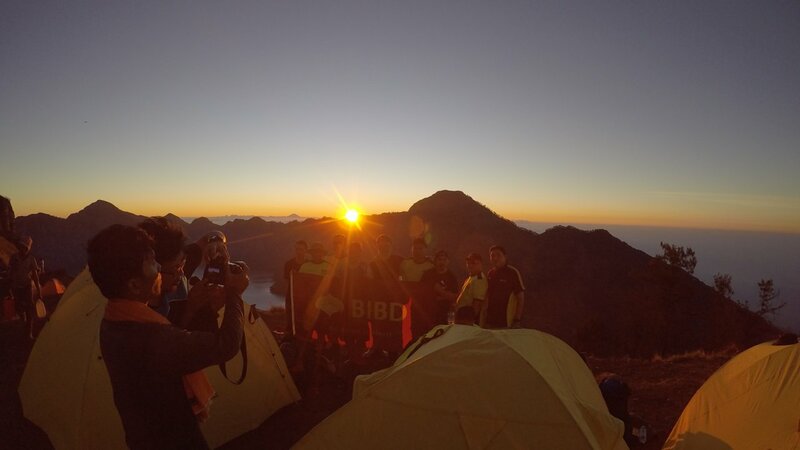 This trekking package is designed for trekkers or climbers who have short time but want to ascent Rinjani till the crater Rim of Senaru or Sembalun. 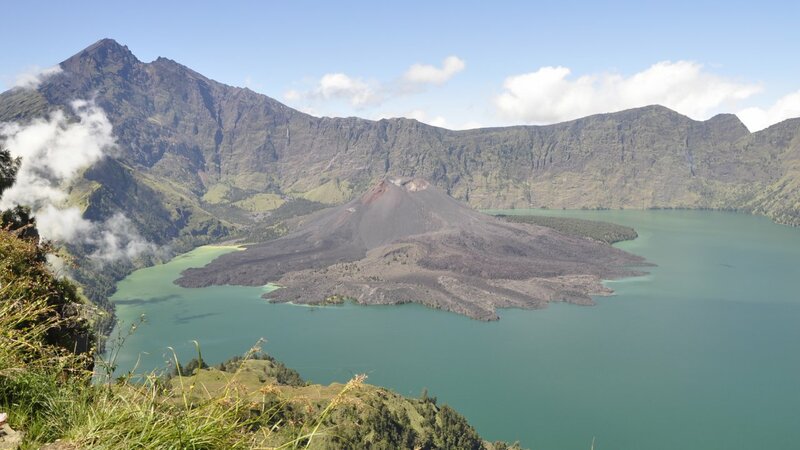 You will experience the awesome of crater lake and the summit scenery and good sunrise and sunset from the crater rim. 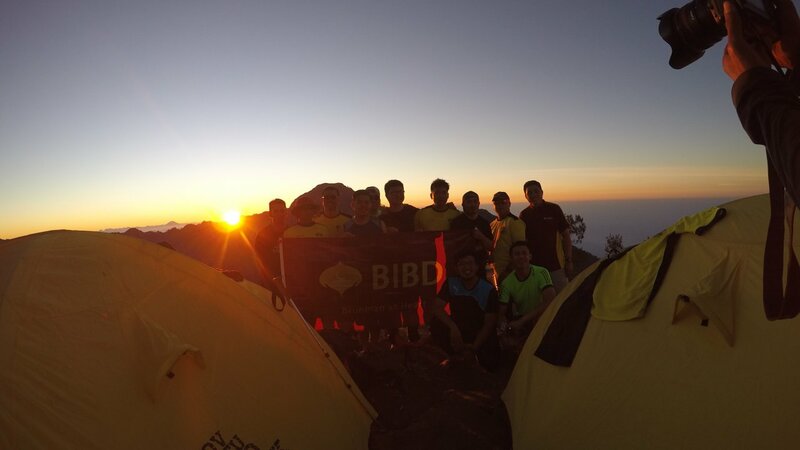 This trekking package is recommended for beginner or for them who have short time. This tour taking 2 days and 1 night, will give you great trekking experience on one of the best ecotourism destination in South East Asia. The trekking package type are fully organised: leisure, safety, adventure and echo tourism. Individual and group booking are available upon request. Pick up from your hotel at 6 am, by Air Conditioned vehicle to Senaru (601m), arriving at Senaru village at 8 am we`ll give you quick light breakfast. After register at park ranger office then at 8.45 am we start to walk. 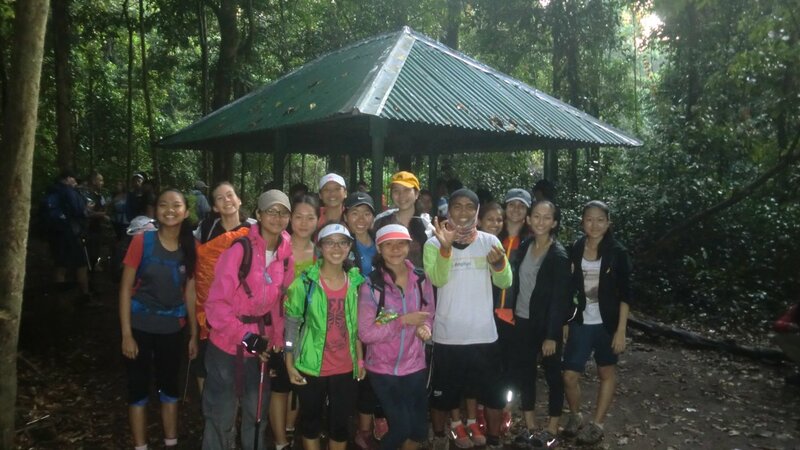 The first hours of the trek climb steadily through thick tropical forest rich in flora, bird life and variety of butterflies. You might see orchid, the long- tailed grey macaque monkey kera and, if lucky, the rare black ebony leaf monkey, known locally as lutung. Rusa ( deer ) are forest dwellers are occasionally seen along the trek trail. The smaller barking deer or kijang has an alarm call with a distinct dog – like bark. 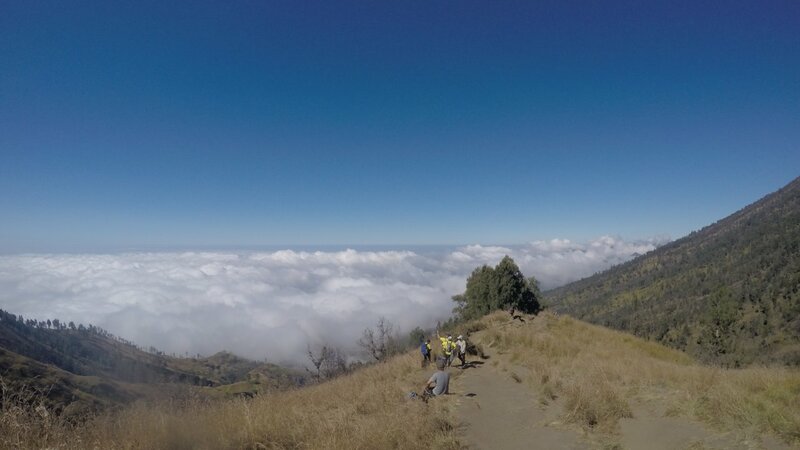 Rest stops are taken along the way, and in pos 2 Montong satas shelter (1,500 m) where village stories and local legends are related by your guide. Features include the banyan tree bunut ngengkang that looks like someone standing with their legs apart, and the Batu penyesalan stone. 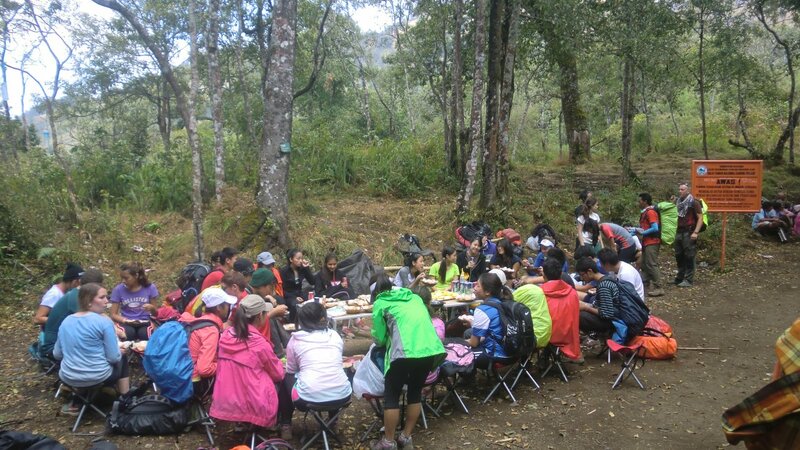 Depending on your preference and weather conditions, the nights camps is made either in the forest at post 3 Mondokan Lolak (2000 m) after about five hours climb from Senaru, or continue the ascent for another couple of hours through grassy meadows to plawangan 1 Senaru crater rim at 2641 m. from the crater rim are sweeping views across the lake Segara Anak lake (2000 m) to the summit of Mt.Rinjani. 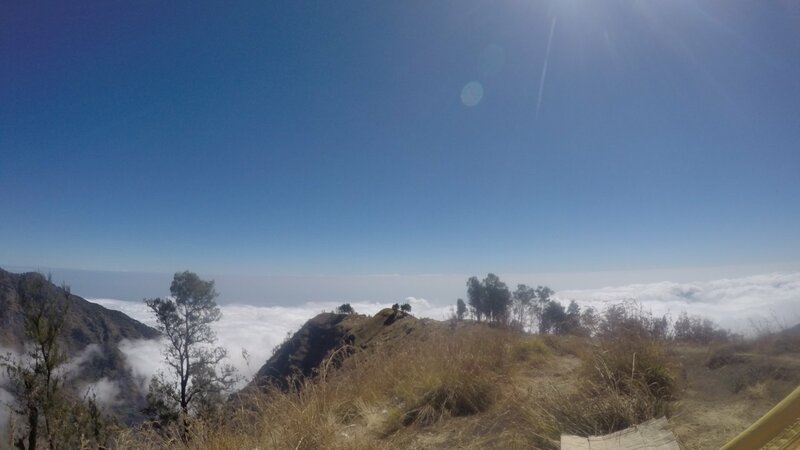 within the crater,Mt Baru (2,351 m) is an active, last erupting dramatically in 1994.on a clear evening the Gili Isles, Bali and Mt.Agung can be seen to the west.